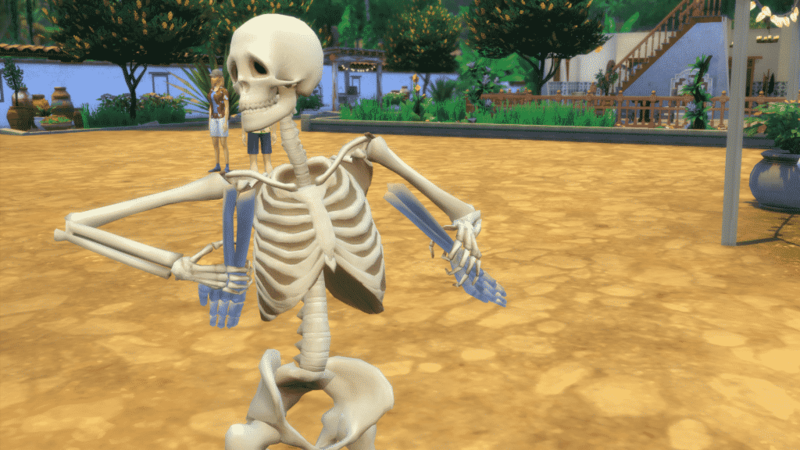 One of the first things you’ll want to do in The Sims 4 Jungle Adventure Game Pack is turn your Sim into a skeleton. Sure, you can do so by sending your Sim to a temple and have him find the right totem and the right gem in order to bless your Sim with skeletonism, but isn’t it better if you could become a skeleton with a single cheat? With some help from Zerbu we managed to extract the cheat which gives your Sim a buff that will turn that Sim into a skeleton. Considering that skeletonism is only a temporary condition your Sim will turn back to their old selves after 12 hours, but you’re free to use the cheat indefinitely. Make sure you’ve enabled testingcheats true in order for the cheat to work properly. Enjoy turning your Sims into skeletons! I’ll upload it tomorrow on ModTheSims. How do I turn back into human? I tried removing all buffs, but that didn’t work.